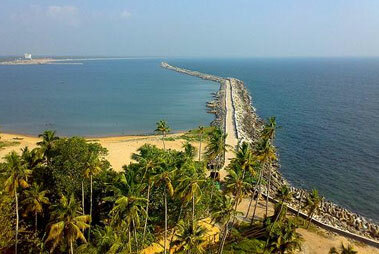 Kollam, formerly known as Quilon, located on the edge of the well-known Ashtamudi Lake; in the olden times was a flourishing trading and commercial center. This 5th largest city of the south Indian state of Kerala in the present times is quite popular for its industries of coir manufacturing and cashew processing. So much for its economic importance! The place has also got natural beauty in abundance. Also known as Desinganadu in the ancient times, this place has been blessed with plains, mountains, rivers, sea, lakes, backwaters, streams, lush green fields and forests. 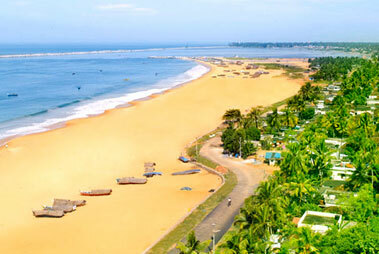 Celebrated by famed ancient explorers like Marco Polo and Ibn Battuta, Kollam is a serene and scenic town, which is quite popular in the form of a backwater destination. An old sea port and a chief commerce hub, this place saw the advent of Arab, Roman, Chinese, Dutch, Portuguese and British trading ships, for its spices and cashew crops. Traditional villages, coconut grooves, backwaters, tourist attractions, backwaters, tree houses, monsoon, scenic locations, old streets and markets-there is so much to Kollam. Trivandrum International Airport, located at a distance of around 71 km, is the nearest airport to Kollam, with around 40 national and international flights operational every day. Once you reach the airport, you can hire taxis to reach Kollam, which charge around INR 7, per km. 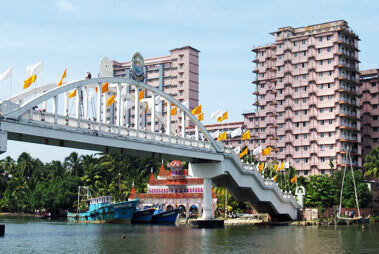 The railway station in Kollam is well connected to the important destinations of the state and the country. 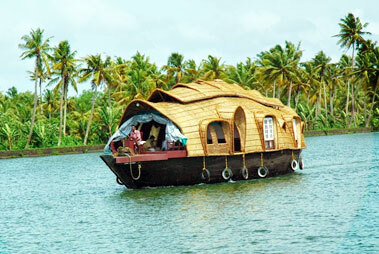 In case, you are a visitor from the southern part of the country, the Chennai - Kollam, Kollam Express is the best option. However, for those coming from the northern region, there are no direct trains and so flight can be a better option. A number of national highways including NH-47, NH-220, and NH-208 connect Kollam to other destinations. There are regular interstate buses along with buses from important cities like Thrissur, Bangalore, Madurai, Chennai, Coimbatore, Pondicherry and more. There is also an option of luxury Volvo buses and semi deluxe buses that are managed by private. The price varies as per the bus type and boarding destination.